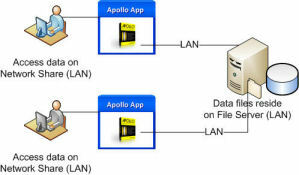 Read more about File Share access here. 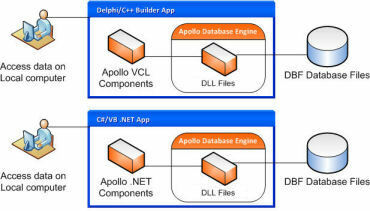 This is essentially a duplicate list of configurations found in the other non-Client/Server sections, but looking at it from the perspective of the Apollo database engine. 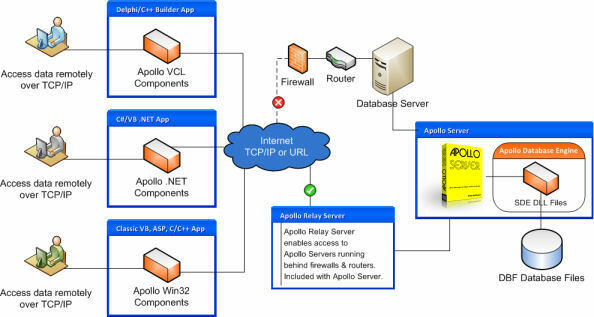 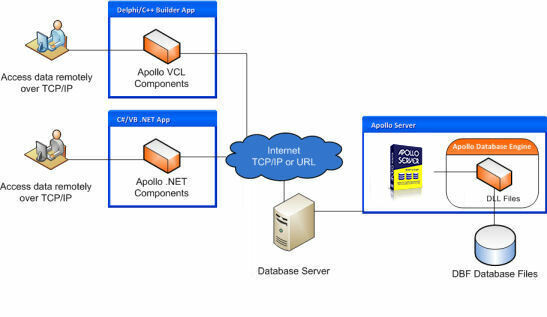 Apollo database engine supports the following scenarios with applications developed using the Apollo components, including the Apollo Server since it too is an Apollo application that was developed using the Apollo VCL components.